RENO,NV OCTOBER 25, 2010: VORRA’s final weekend of the 2010 Season will be October 30-31 at Prairie City OHV Area in Folsom, CA. Join hundreds of racers, spectators and crews for a full day of truck and car racing on Sunday. Saturday will host a day of ATV racing and in the evening there will a Costume BBQ Party and Kids Pumpkin Carving Contest. The season points battle continues to be close, with this one short course race remaining to crown the overall winners. After the last round, Sam Berri pulled away in the lead with Mike Koenig in second only 16 points behind. Red Team Racing maintained their third overall position and first place in their class. It looks like all of the classes have some battles going on, but Class 10 will certainly come down to the final round to determine the winner. The ATV races will be on the track Saturday starting at 1pm. You are invited to join for the Costume BBQ and kids pumpkin carving contest that will start after the Pro Practice Saturday evening. 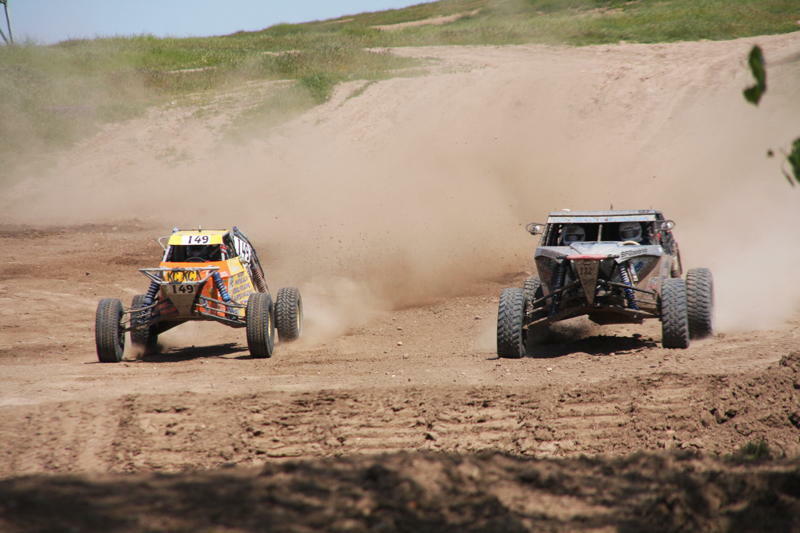 Grandstand racing for Trucks, Class 1 cars, Ultra4 cars, UTV’s and more classes starts Sunday morning at 9:45am after a 9:00am practice session. Special to this event is the Powder Puff race and the Mechanics Race where the rest of the team gets to drive! There is a break mid-day for lunch from the hot dog cart and the awards ceremony to follow immediately after. VORRA is in its 35th year of producing high quality, yet family affordable racing. These short course races are a great opportunity to bring your ATV or racecar out to race, and your family to enjoy a nice Northern California Fall day. Gate fee is only $10, Juniors 8-14 $5 and 7-under free.